Our Wix contact us form app suits any needs in receiving reviews and enquiries from customers of your website. Add the essential fields for filling, find your optimum template and adjust the interface, to motivate your visitors for sending reviews about your goods or company. 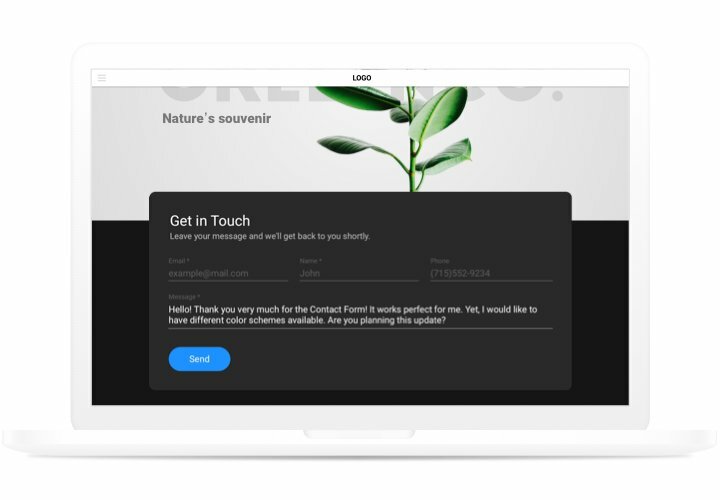 Receive testimonials, get requests and send answers to enquiries of your website users! Boost the number of orders from the website. Solve all kinds of problems and suspicions of your customers, and don’t allow them to close the site. Use our handy product to build effective dialogue with clients. Attract more opinions about goods or services. Answers of your customers are highly essential for the advancement of the business. 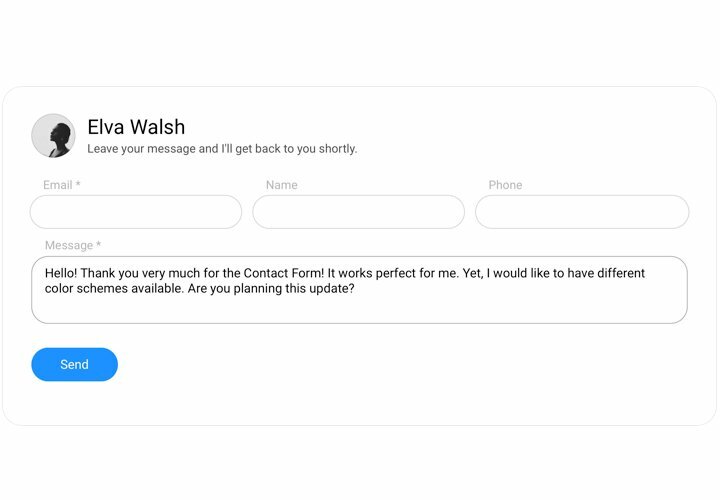 With the help of our simple contact-form, you will start to get more feedback from your website! 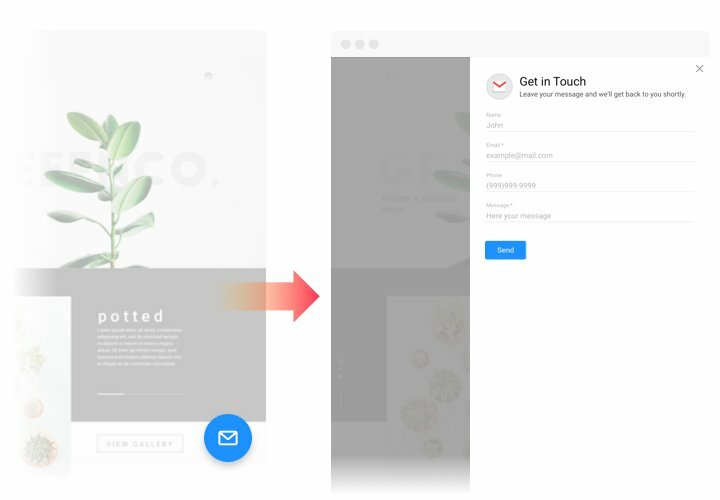 With handy layouts, flexible interface and personalized «Thanks You» messages, you will demonstrate to your clients their importance for your company. 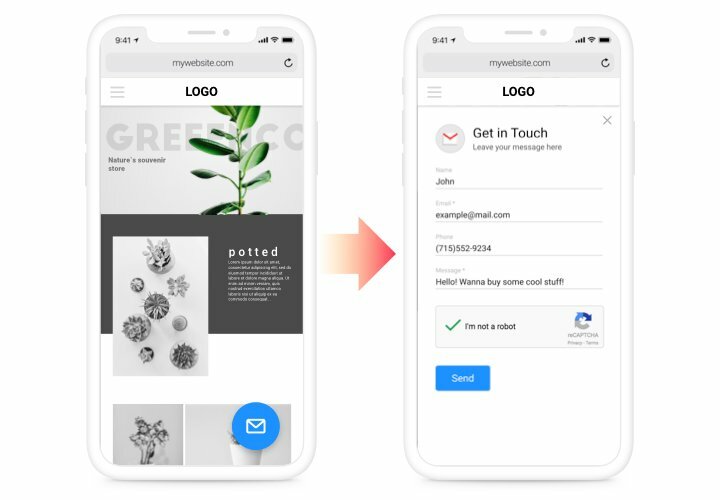 Study a guide created by our team, to add contact app to your website. There’s no need to have competence in programming for this. Average installation time is approximately 90 seconds. Create your custom Contact us Form. Using our free editor, a widget with desired template and functions. Get a code for integrating the app. 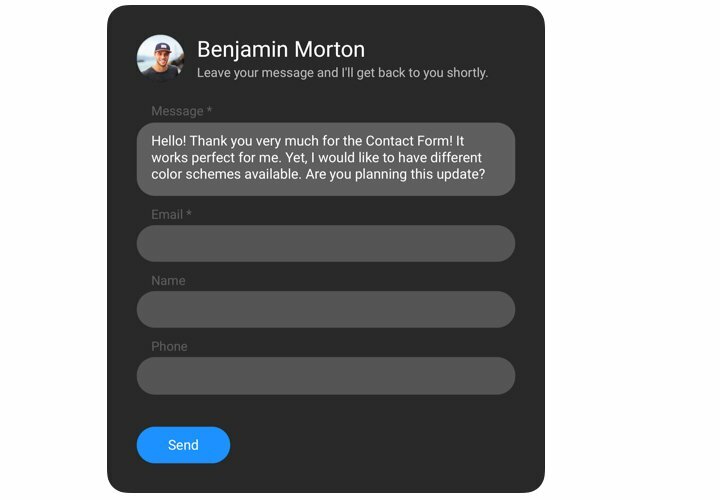 After widget creation Get a code for Contact widget from the popup notification on Elfsight Apps. Reveal the app on WIx website. Reveal the widget to the required spot of the website and save the changes. Enter your Wix site, to check your app. Having any difficulties while following the instruction or creating your form? 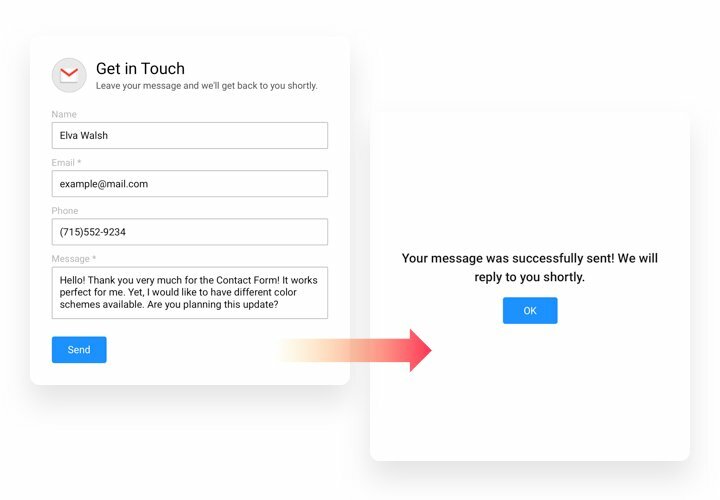 It may be useful to read an extensive instruction «How to add Contact form on a Wix website» and take a second chance to add it on your own, or address support center. Our team will do their best to advise you timely and professionally. Generate a unique Wix contact form simply and fast!